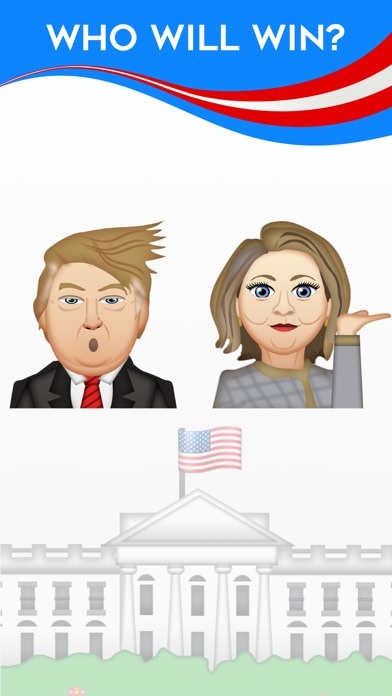 Just in time for the 2016 election, we present VoteMoji, the first ever political emoji app. 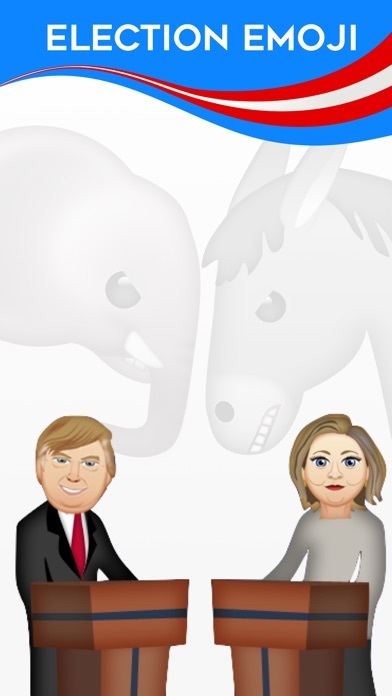 Browse from over 100+ icons of your favorite politicians and other election-themed content. Make sure to check back frequently as new content will be updated regularly as-it-happens based around events of the election. 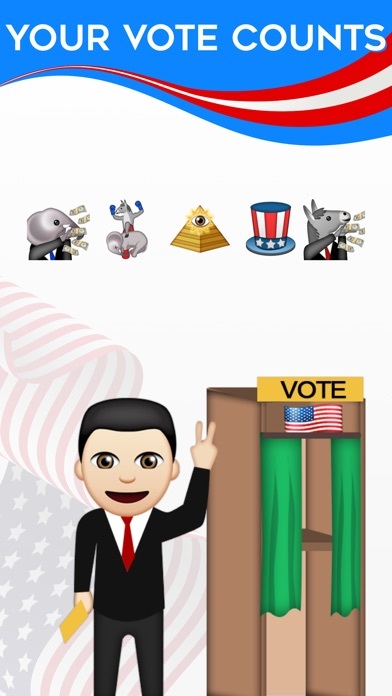 Whether you are a Republican, Democrat or Independent, you’ll be sure to find plenty of emojis to voice your opinion and support your candidate. 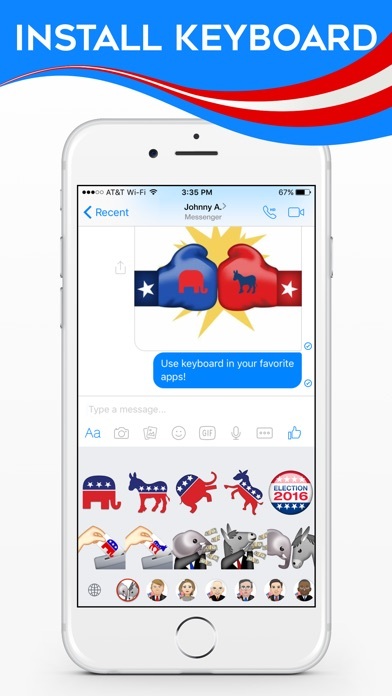 Now you have a new way to show your support and text with your friends about the election. Beyond the awesome content we’ve added some amazing features to enhance your conversations. Instead of sending one single emoji, you have the ability to combine multiple icons together in a message. 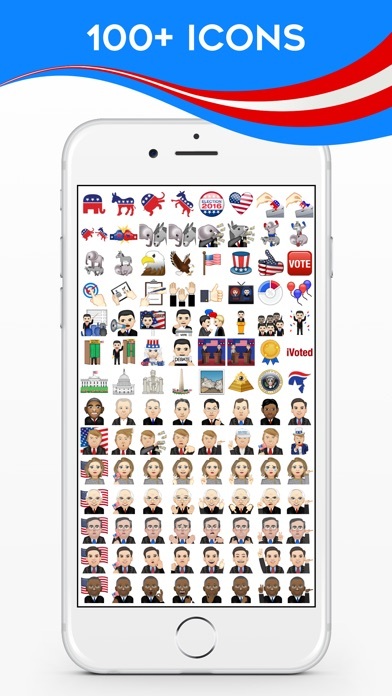 In addition you can also add text to your messages to make this one of the most in-depth emoji apps on the market. YOUR VOTE COUNTS! Make sure to register to vote if you already haven’t. A NOTE ABOUT ALLOW FULL ACCESS: Rest assured that Gymoji will NEVER collect any personal information or transmit what you type over any network. Turning on “Allow Full Access” is simply an iOS requirement for third party keyboard. We take our user’s privacy very seriously. Should you not want to use the keyboard, all of the content can be accessed directly from the app instead. © Copyright 2016 AppMoji Inc. All Rights Reserved.